Fashion Week just ended last Thursday, but in this always-updating Internet culture in which we live, it seems like ages ago. So let's take a trip down memory lane, shall we? Here are the things I saw at the Fall 2013 shows that I liked. 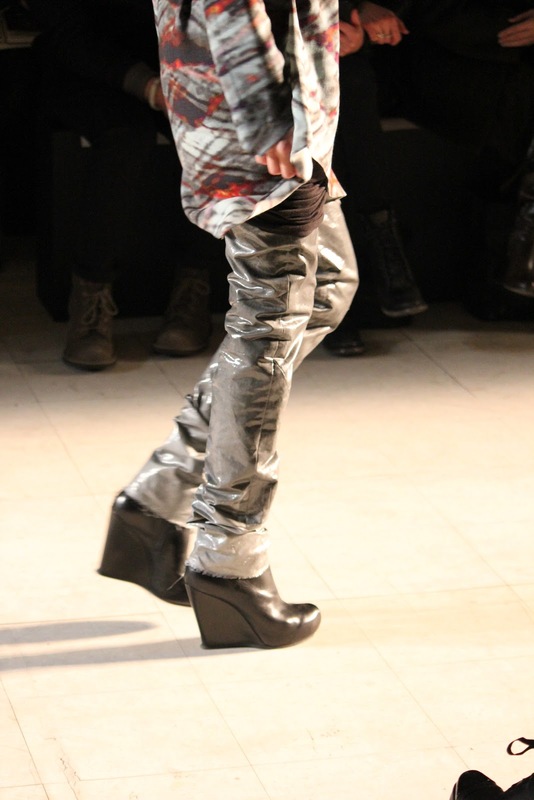 The sturdy-looking wedge boots at Kimberly Ovitz, a nice balance to all the drapery and ethereal prints. 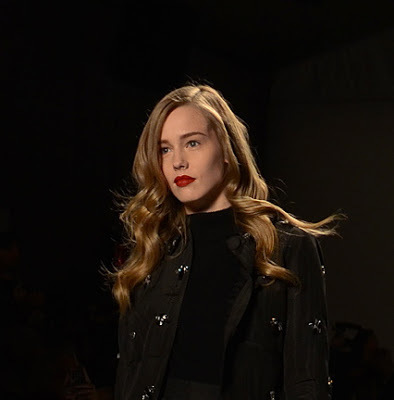 Fantastic-looking toggle coats at Rebecca Minkoff. Seriously, reserve one now. 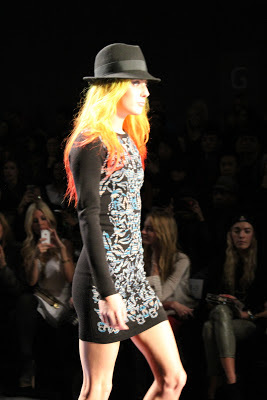 The rainbow-haired Chloe Norgaard, back in action at Nicole Miller. Christian Siriano knows how to stage a dramatic finale (and set—note the red curtain and chandeliers). 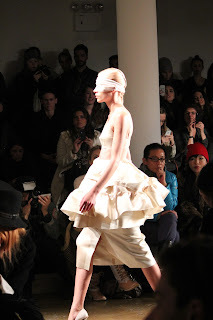 I loved Alexandre Herchcovitch's entire show—it was one of my favorites of the week—but particularly the upside-down, semi-undressed dresses that closed it. Watching Bill Cunningham at work while waiting for Chado Ralph Rucci to begin. 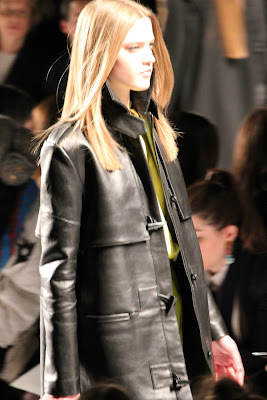 The fact that this Chado Ralph Rucci coat exists. Beyond-fabulous accessories at Alice and Olivia. 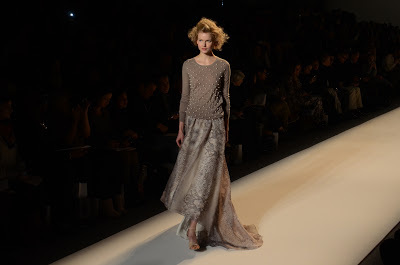 That my seat at Reem Acra was close enough to the runway for photos like this. And if the future of fashion is hologram leather, beam me up, Milly!